Today is the GNYMLA fall meeting at the Morgan Library & Museum. Hosted by the incredible music department head Fran Barulich, the museum did not disappoint with exhibitions featuring art, music and writings by Hans Memling, Martin Luther, Charlotte Bronte and Jean Dubuffet. Check it out if you can. I walked updown on Madison a couple of blocks; naturally very congested. (Don’t ride the Q32 bus back to Queens at this time). Then I saw a huge & beautiful Pret a Manger. YEEESSSSS! One great thing about this place, if you haven’t tried it out, is that every item in the place was freshly prepared on that same day. And, everything they make is incredible. 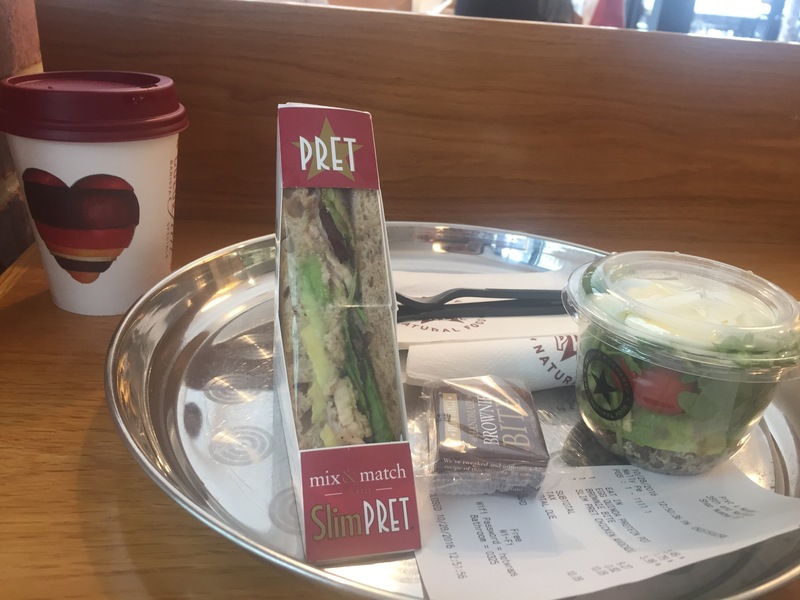 I bought a Slim Pret Chicken Avocado sandwich (one half, not two halves of a sandwich, a egg, spinach and quinoa protein bullet, a brownie bite, and a burnt sugar latte with soy milk. It was superb! The chicken and veggies, were super fresh, and the fall-flavored latte tasted like burnt caramel, which was very pleasing to my taste buds. And all of my lunch was consumed in under 10 minutes so I could take the Q32 bus…which I ended up ditching at 59th and Lex for the N train to Queens. Life is too short to wade through traffic.